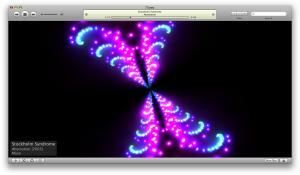 Apple has added three new visualizers in the version of iTunes that is built into the latest build of leopard. 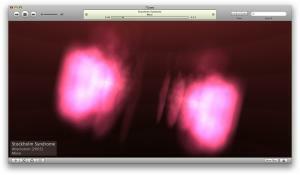 The new visualizers are called Lathe, Jelly, and Stix. 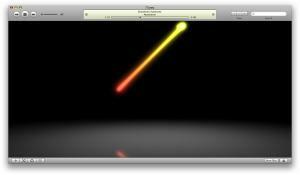 Stix: A streak of light that changes speed and color to the music and reflects on the "floor" of the visual. Apple is expected to release Leopard in October.